These glow in the dark presents are magical and Christmassy. They are simple (and cheap) to make and my kids thought they were the coolest things I’ve done. I played an indoor game using the presents and they are great for outdoor play too. Below is how I put them together. 1. 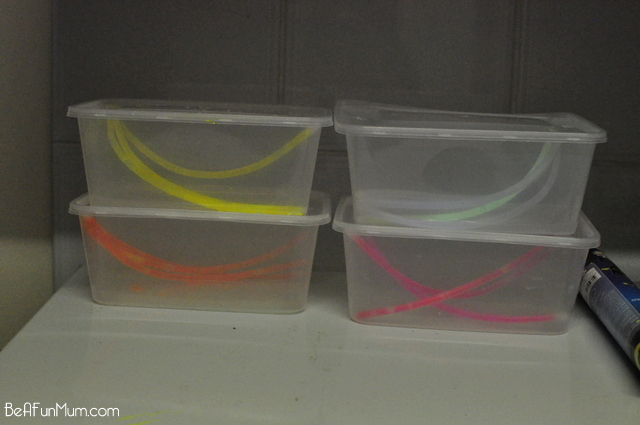 Activate glow sticks by bending them, and then place three inside each container. 2. 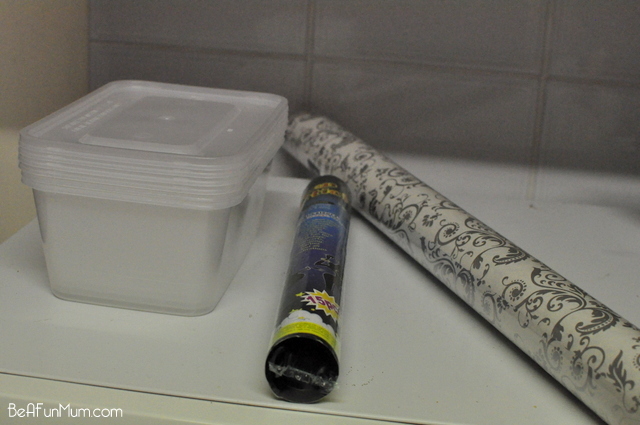 Wrap the containers with paper. Avoid overlapping as this will dim the light in the areas where there is two layers of paper. Don’t worry if you can’t see the light through the paper as you’re doing it in the light. Look at the picture below and you can see the same presents in the light and then in the dark (they do glow!). I can think of many ways to use these cute things. For example, place a heap under the Christmas tree on Christmas Eve, use them as decoration outside or for an outdoor present hunt. There could be a hot potato game in the dark, a follow the glow present path or the kids could simply take them outside in the dark and watch them shine. The glow lasts for a couple of hours. The game I played with the kids went like this: I gave each of the children a glow stick to hold (the little bit of light is a good thing) and they went to a designated room together in the house (and shut the door). I hid the presents in different places around the house and then turned off all the lights (with the expectation of one so I didn’t fall). I called the kids out and they hunted for the presents. So much fun! They wanted to do it again, and again! All my children enjoyed the game, so from my 5-year-old right up to my 11-year-old. Win. It was one of the thoes activities that worked for all my kids which is harder these days! Really wonderful idea – I don’t know where to look for glow-in-the-dark sticks and I sure hope we find them in our country here in the Middle East!! I invite you to my recently-started parenting page on Facebook. 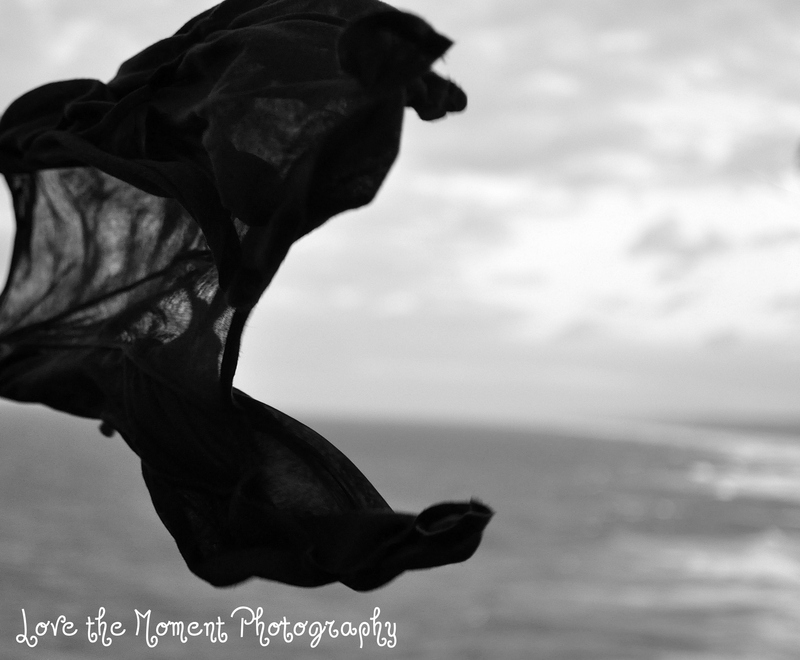 Check us out at http://www.facebook.com/ConsciousParentingApproach for conscious parenting tidbits and tips, photos and quotes – see you there! I hope you can too Lisha. AWESOME Kellie!! I am so going to have to do this with my girls this Christmas. Hope they enjoy it as much as my children did Janice. 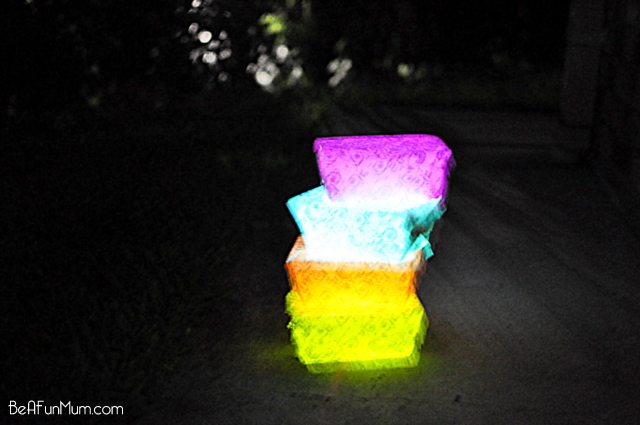 I can’t wait to make these with the kids tomorrow (have to get some glow sticks first!). I Love your blog. I have just started my own blog as at home mummy if 3 boys under 4. So thank you can’t wait to try them. 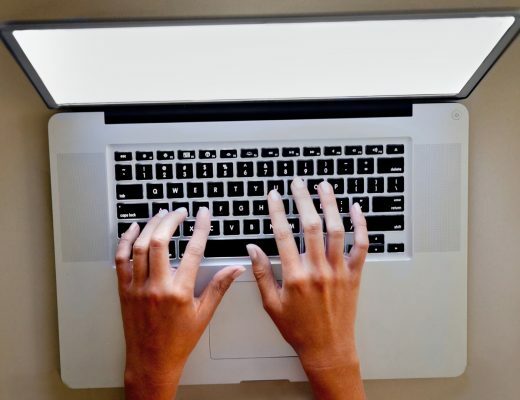 Glad you found your way here and congratulations on your blog! My kids are just the right age for night time games now. It made me recall all the fun games I did when I was young, like spotlight. Loved that game! This is sooo simple and wonderful! Thank you. Absolutely love this idea!!!! Fantastic, thanks so much for sharing!! I’m trying this the next time I go to a birthday party. 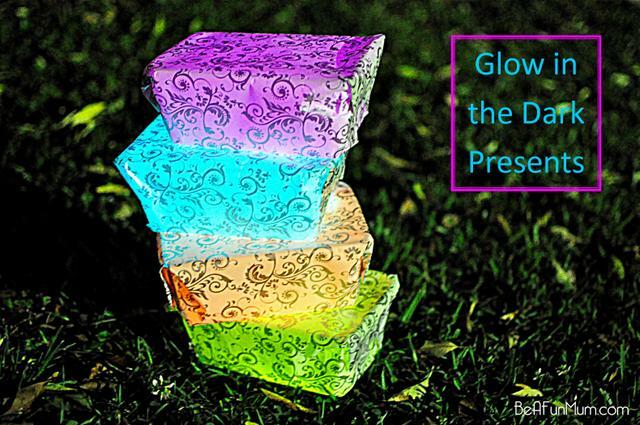 Will put a real present in that clear tub + the glow & WOW, party guests are gunna love it. 🙂 Thanks for the simple yet wonderful idea.